Ambivalent Europeans: Global Processes through the Lens of Youth Projects. How do individuals living in Lithuania, a nation-state at the margins of the European Union, experience and react to transnational processes, including the European project? In my paper, I outline the challenges of studying transnational processes and highlight my own approach that considers youth as a lens on global processes and a site of social transformations. My research, based on ethnographic study of non-profit organizations working with “at-risk” youth, examines complex local reactions to global narratives and practices targeting young people. Marina Mikhaylova is an Assistant Professor of Anthropology (Teaching/Instructional) at Temple University. She has a Ph.D. in Socio-Cultural Anthropology from the University of Chicago and an M.A. in International Relations from Yale University. She graduated from Rutgers University with a B.A. in Economics and Political Science. She was a postdoctoral fellow at Columbia University’s Harriman Institute. 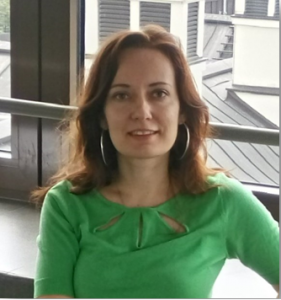 Marina’s teaching interests include political anthropology, linguistic anthropology, globalization, and youth. She is working on a book manuscript on youth projects and transnational governance in Lithuania, while her new research examines globalization by focusing on World Cup in Russia. Page last updated by Department of Childhood Studies at 10:53 am October 2, 2018 . 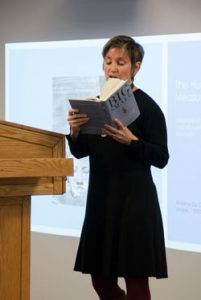 This page was printed from http://childhood.camden.rutgers.edu/events/talk-by-marina-mikhaylova/ at 3:39 AM Friday, April 26, 2019.